Caption Beautiful demonic armed with the claws of a jaguar. The female counterpart of Itzcoliuhqui. 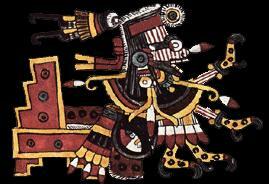 Headline Itzapapalotl: The obsidian butterfly.